The Replacement Fascia Boards which are stocked by Homelogic offer a virtually maintenance free Roofline solution as their outer skins are resistant to climatic extremes and will not allow moisture to penetrate the core of the Board. This ensures that they will not deteriorate in the way that traditional timber fascia will, through rot or warping, and all these benefits come without the need for applying protective treatments or painting. Replacement Fascias, also referred to as "Jumbo Fascias", are used both in new build and refurbishment projects. Homelogic stock a variety of different styles, of which our most popular profile is the 18mm Fascia system which has a rounded bottom edge and can take in a Soffit board via incorporated grooves. Other alternative styles include Bull Nosed and decorative Ogee fascias, and also Flat Backed fascia boards which can be fixed direct to brickwork. Soffit is the name given to the board that runs horizontally from the back edge of the bottom of the fascia board to the top of the wall, closing off the roof space at the eaves. Soffit Boards can be plain or vented, and there is also a cost-effective hollow version which has a tongued and grooved effect to mimic timber cladding. Soffit Boards are non load-bearing. Our PVC Gutters are manufactured by FloPlast, the UK market leader in plastic guttering products. All of our gutter ranges are approved by the British Standards Institute and have received the much sought after BS Kitemark. 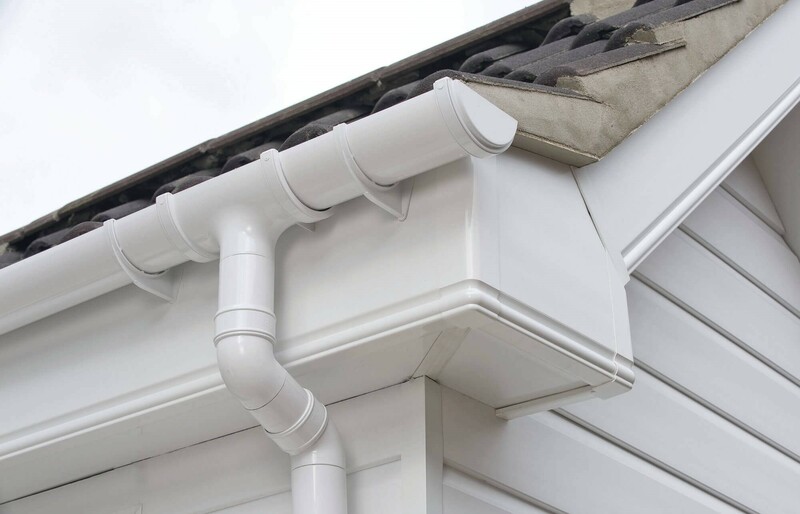 Our PVC Gutter ranges are guaranteed for a minimum of 10 year.